With so many people living with food allergies and dietary restrictions, it can be intimidating and somewhat confusing keeping track of who can eat what. 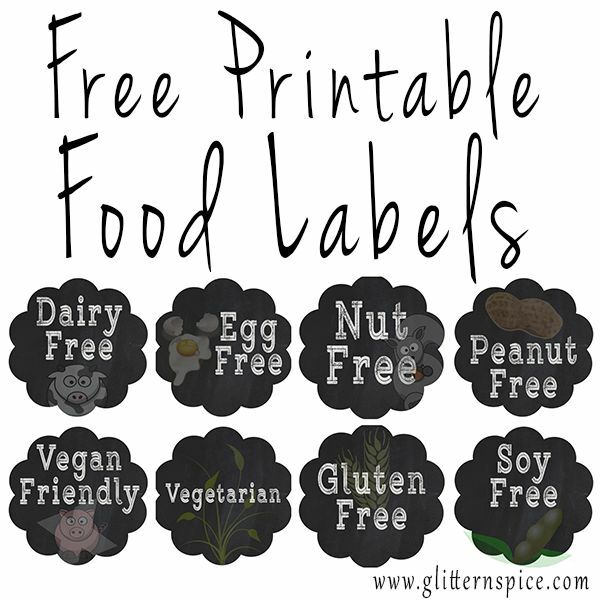 To make it easier for you to help identify food allergens and food preferences when entertaining guests or bringing food to an event, I made these free printable labels. There are labels for identifying vegan and vegetarian dishes and labels for foods that are dairy, gluten, egg, soy, nut and peanut free. Use them as food picks to label buffet food at a party or event. 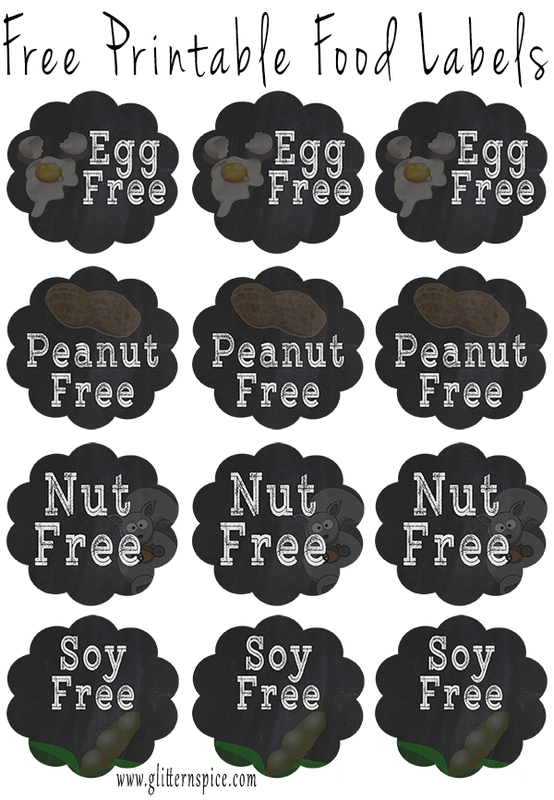 Add them as stickers to food you donate to bake sales, school events, or give as gifts. Use them as freezer labels. I find this one especially helpful as we are a family living with multiple food allergies. When everything is labelled, it is easy to make custom freezer meals for everyone. They can be used to label pantry and fridge foods in your own home, to help children identify foods that are okay and not okay to eat. 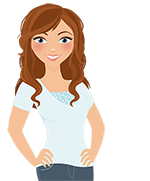 Likewise, they can be helpful for nannies and babysitters to keep track of what foods are off-limits. 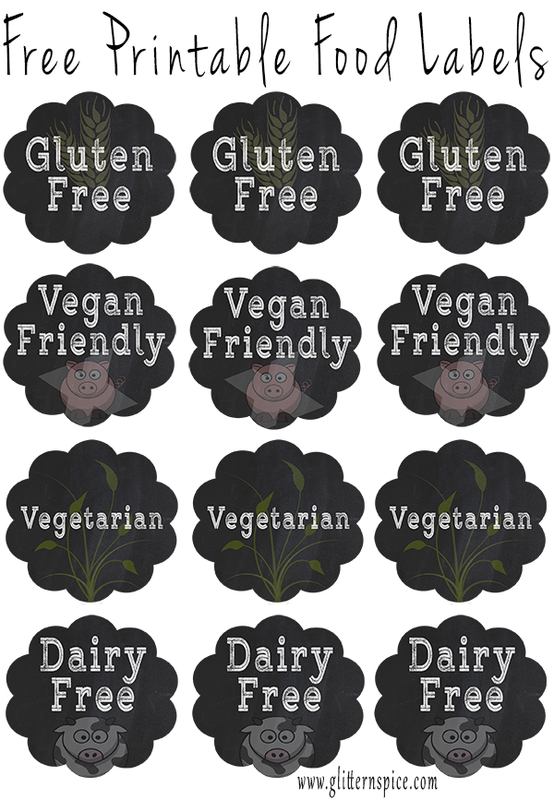 Add them as stickers to identify your child’s school or daycare lunch. Too often, my kids have come home from school upset because another child or teacher has stated that one of their food items is not allowed, not realizing that the cookies I sent were eggless or that I substituted with a peanut-free butter in their sandwich. Using food labels has helped prevent many misunderstandings. 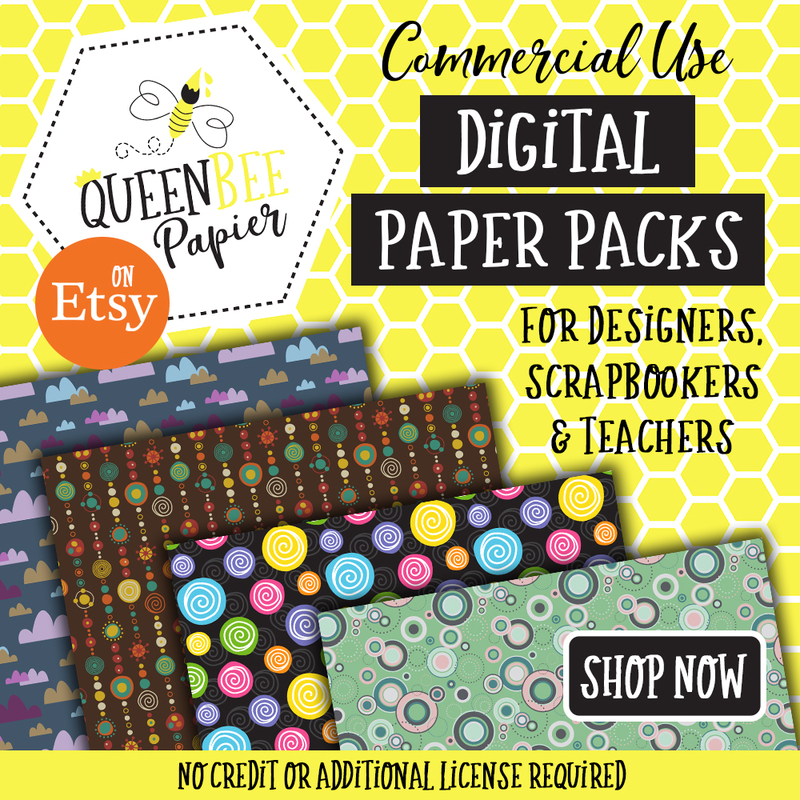 Thanks for visiting and I hope you find these free printable labels helpful! Click on the images below to open the high resolution pdf files. Save them to your computer or print them right away. These are for personal use only. You are welcome to pin the images directly from this page, but please do not pin or share the pdf links themselves – instead, direct people to this page so they can download their own copy. Thanks! Do you or a family member live with food allergies or dietary restrictions? What are some of your experiences when eating out at restaurants or in other people’s homes? 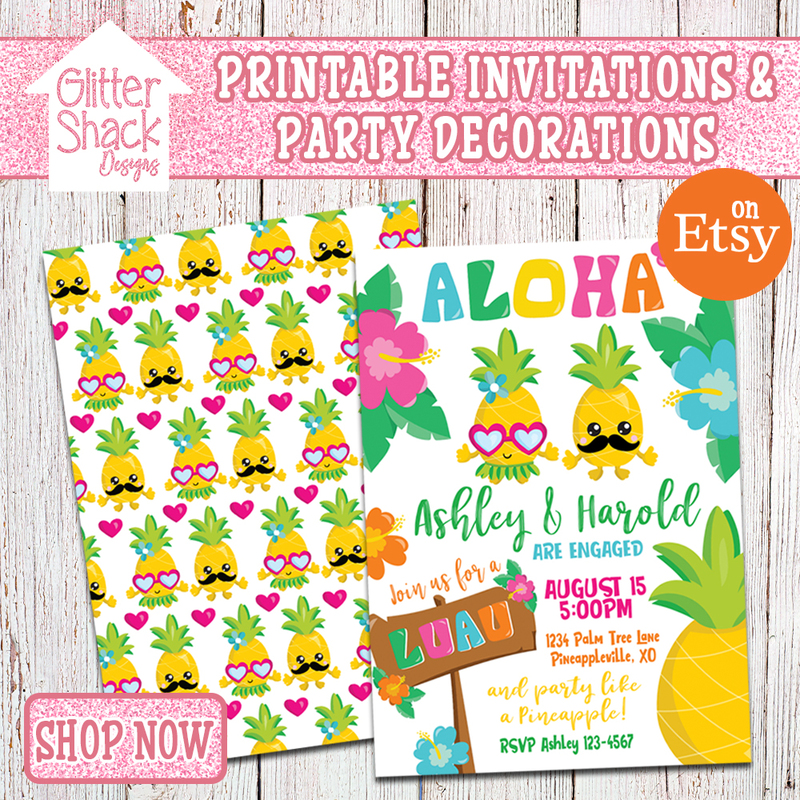 Do you love chalkboard printables as much as I do? Check out these adorable Dr. Seuss printables I made.